Intergenerational cohabitation in Spanish families is an essential resource for many adult children due to the current emancipation patterns among the young. 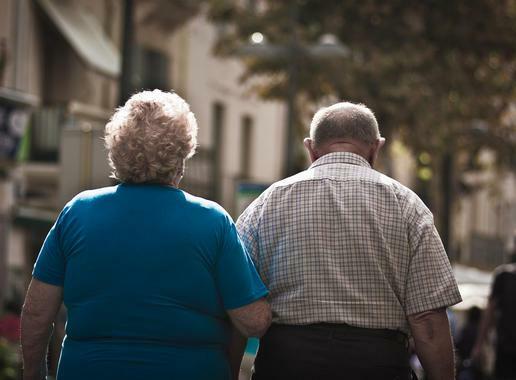 However, for decades, the tendency among older people in Spain has been to live with their partners or on their own after being widowed. Juan López Doblas, researcher at the University of Granada (UGR), has published a study in Revista Española de Investigaciones Sociológicas (Spanish Journal of Sociological Research) on the reasons that lead these people to live alone, instead of sharing the household with relatives of other generations. "In the Western world, it's been happening since the mid-twentieth century because that is when Social Security and pensions were established. In Spain, this arrived a bit late, as in other Mediterranean countries, because values of a more individualistic type have traditionally been more typical of Nordic countries", says the scientist. The study was based on interviews lasting more than one hour with various groups of people over 63. The regions of Asturias and Andalusia were chosen, because they have different rates of population aging and, additionally, the senior citizens living there differ substantially in essential aspects, such as pension amounts or educational level. "What we've observed in the study is that, at present, older people have a preference for privacy and freedom, and that comes before being kept company," López Doblas points out. All the discussion groups consisted of a majority of widowed persons, which reflects the numerical predominance within the population group under study. One of the most important aspects for understanding the reasons for the decline of intergenerational coexistence in Spain lies in the household in question. According to the work, the elderly are aware that they cannot expect their families to come to live with them, so it is they who would have to move in with their families. And such a decision would most likely mean having to definitively quit the household they have been living in for decades, which is something that, as the study reveals, they refuse to do unless it is absolutely necessary. According to the author, "they have a strong emotional attachment to their homes, even when living conditions aren't the best. They regard moving house as an unnecessary personal sacrifice that would also, besides, isolate them from their social environment, where they can socialise with family, neighbours and friends." The study also significantly reflects the manner in which the participants in the discussion groups explain what their lives would be like if they chose to live with their families. "They understand that if they shared the household with relatives, they'd be a burden for them, which is something they want to avoid at all costs. They also reject this so as not to meddle in their private lives, or disturb their privacy. And they fear that daily cohabitation would eventually and inevitably generate discomfort, arguments and conflicts," he explains. Regarding pensions, although they are usually low, especially for many widowed women, this does not prevent them from managing to be self-sufficient. It is something that they achieve through a thorough control of spending, which often entails austerity in the consumption of even basic goods and services. "Widowed people are forced, for the first time in their lives, to handle roles and experiences that are initially very harsh, in addition to loneliness. Adaptation is very difficult. But after a while, they also value freedom. It is a balance between the risks and the positive aspects," concludes López Doblas.